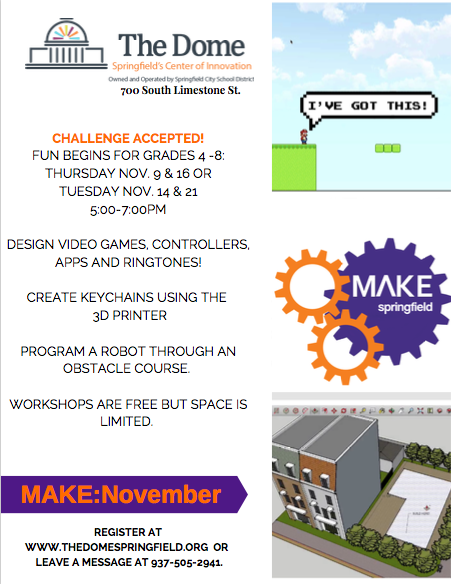 Make:November is all about trying out new challenges from game design to 3d printing. This workshop will meet 2 Thursdays in November. Join us Thursday November 9 and 16 from 5:00-7:00.